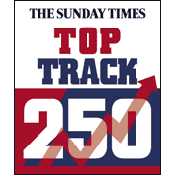 Langley Holdings has been rated 40th out of the UK&apos;s top 250 mid market private companies in the Top Track index. 2010 is the sixth year running in which Langley has been included in the index. The Top Track index is sponsored by the HSBC bank and Grant Thornton, one of the world&apos;s leading international organisations of independently owned and managed accounting and consulting firms. Langley Holdings plc is a diverse privately owned UK based engineering group, specialising in capital equipment technologies that are either outright leaders in their field, or niche players. Its principal operating divisions are located in the UK, Germany and France and have a network of over 30 subsidiaries in 17 countries, employing around 2,200 people worldwide.